The Bladed Hand is in it’s final stages of production before it is released. The premire is planned to be held in Manila in August of this year. 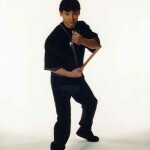 Dan Inosanto, Diana Lee Inosanto, Remy Presas Jr and Ron Balicki are among some of the Instructors in the film. The documetary will cover many styles and systems of Kali, Eskrima and Arnis. History, Technique and Culture will all be part of this documetary. The film was shoot here in the U.S. as while as the Phillipines.